The 96-year-old was earlier felicitated by Kerala CM Pinyari Vijayan for scoring 98 marks out of 100 in the state's literacy programme. 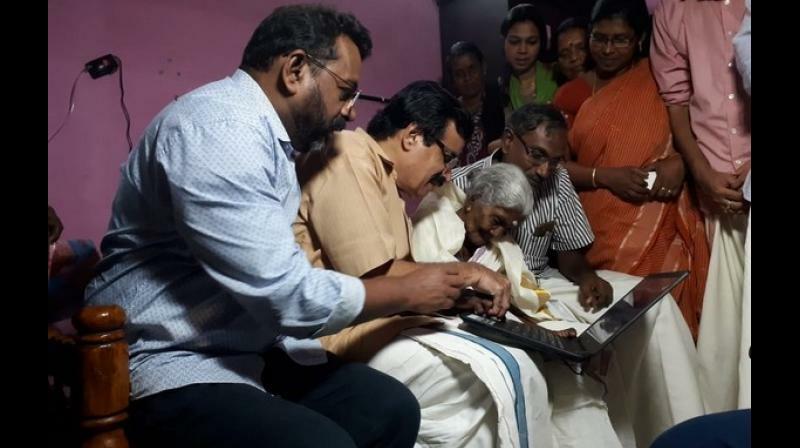 Thiruvananthapuram: 96-year-old Karthiyayani Amma, who created history after becoming the oldest women to top Kerala's literacy exam under 'Aksharalaksham' scheme, was gifted a laptop by the state education minister C Raveendranath on Wednesday. The 96-year-old, a native of Alappuzha district, was felicitated by Kerala Chief Minister Pinyari Vijayan for scoring 98 marks out of 100 in the state's literacy programme.